In this Gospel Message entitled ” To Love Another Person Is To See The Face Of God”, visiting Pastor to New Life Fellowship of Baltimore, Pastor Paul Kurts Proclaims through this quote by Victor Hugo and 1 John 4:7-14, “To Love Another Person is to see the face of God” – to KNOW him more intimately. ~ Jesus lives in you through and by the power of the Holy Spirit! There is no other source of JOY, LIFE and LAUGHTER other than JESUS! He is the Author of EVERYTHING GOOD! 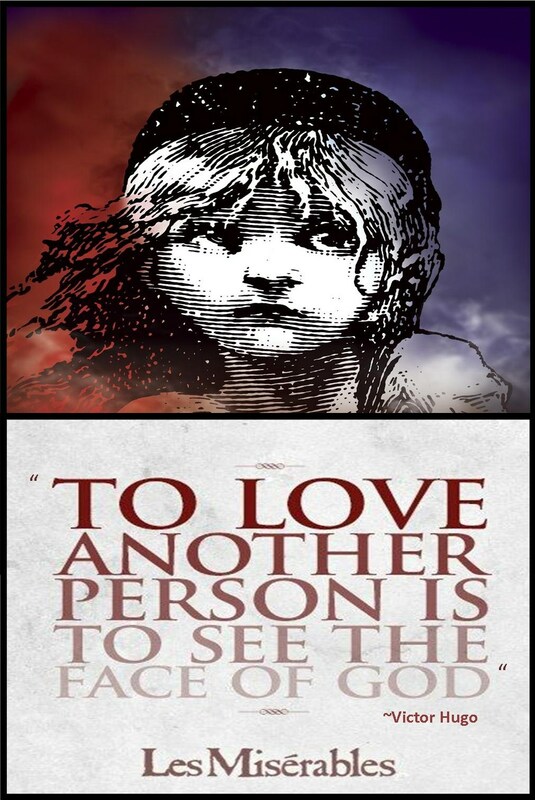 ~The Story-Line of the Musical “Les Miserables” is a story filled with The Gospel, LOVE -REDEMPTION- FORGIVENESS – MERCY- GRACE – PASSION – SACRIFICE! Like the Bible it is riddled with brokenness but it ends with LIFE! Salvation has a positive ending. It includes our participation in the Father’s GRACE and LOVE AND US SHARING IN IT WITH OTHERS! It is GOD in HIS GRACE that teaches us how to live!